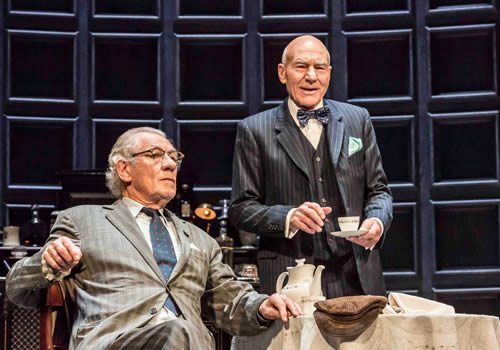 Sir Ian McKellen and Patrick Stewart reunite to star in Harold Pinter’s critically acclaimed absurdist play No Man’s Land. Originally opening in 1975 starring Ralph Richardson and John Gielgud, No Man’s Land played at what is now known as the Old Vic Theatre before transferring to Wyndham’s Theatre. 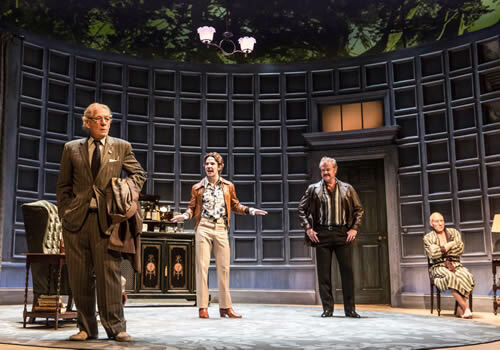 Now, Sean Mathias’ highly anticipated revival embarks on an extensive UK tour before returning once more to London’s Wyndham’s Theatre in September. Written in 1974, No Man’s Land follows two ageing writers, Hirst and Spooner, on a summer’s evening. Meeting in a Hampstead pub, the pair continue their drinking late into the night at Hirst’s nearby stately home and as they become increasingly intoxicated, their stories become increasingly unbelievable. Soon, the once lively conversation takes a dark turn into a revealing power game, further complicated by the arrival of two sinister young men. 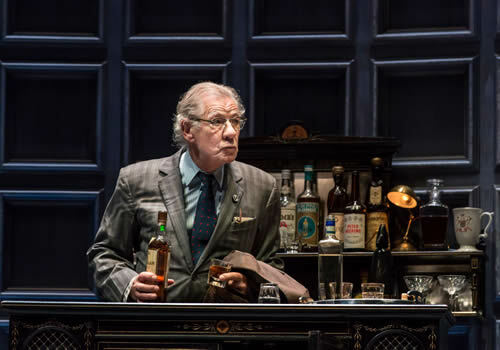 BAFTA, Academy and Golden Globe Award-winning actor Ian McKellen stars as Spooner alongside Olivier Award-winning actor Patrick Stewart as Hirst, with Mathias’ revival seeing the duo reunite after a renowned Broadway run of Beckett’s Waiting for Godot. McKellen is well-known for his endless appearances in productions with the Royal Shakespeare Company and National Theatre, including Macbeth, King Lear, Richard II, Uncle Vanya and The Seagull, as well as his acclaimed performance as Gandalf in The Lord of the Rings trilogy. Stewart has starred in Anthony and Cleopatra and Macbeth, and is best-known for his role as Xavier in the X-Men franchise, in which McKellen plays Magneto. Further cast members include Owen Teale, who is best-known for his role in hit HBO series Game of Thrones and Damien Molony, who has appeared in Ripper Street and Being Human. Prolific Broadway director Sean Mathias is at the helm of No Man’s Land, following multiple successes Waiting for Godot, Company and The Elephant Man. The production features design by Stephen Brimson Lewis and lighting design by Peter Kaczorowski. No Man’s Land arrives in the UK following a successful 2014 run in New York, where it ran in rep with Waiting for Godot. 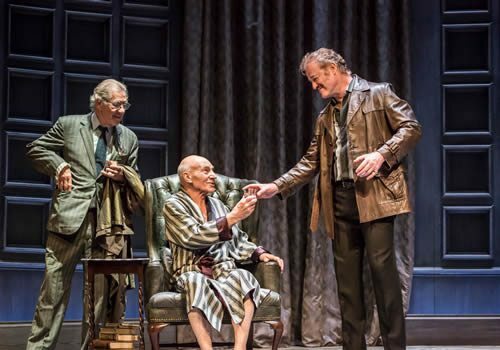 A darkly absurd play, Pinter’s No Man’s Land is already set to be the theatrical event of the year, opening at Wyndham’s Theatre on September 8th until December 17th 2016. No Man’s Land contains adult themes and is not suited to children.